The brown trout can range from 10-30 inches as an adult. It has a brownish-yellow body but this can be highly variable. Colorations can range from a deep golden yellow to a silvery gray with hints of greenish blue. 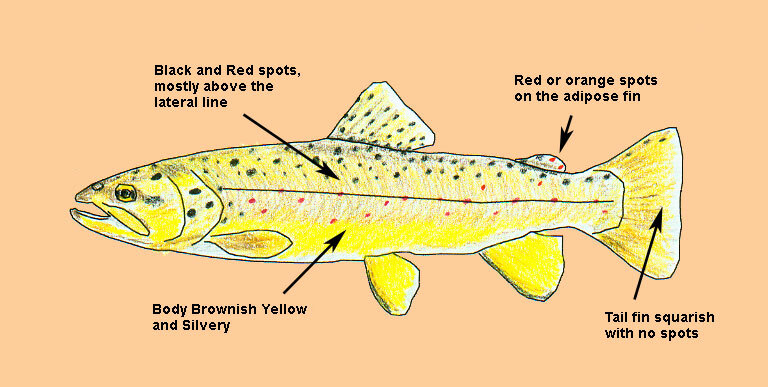 It is the only trout with red or orange spots on the adipose fin, which is just in front of the tail. Black rounded spots exist above the lateral line and the tail fin is squarish with no spots.